In late 2016 OPEC engineered significant oil production cuts in order to address an oversupplied oil market. 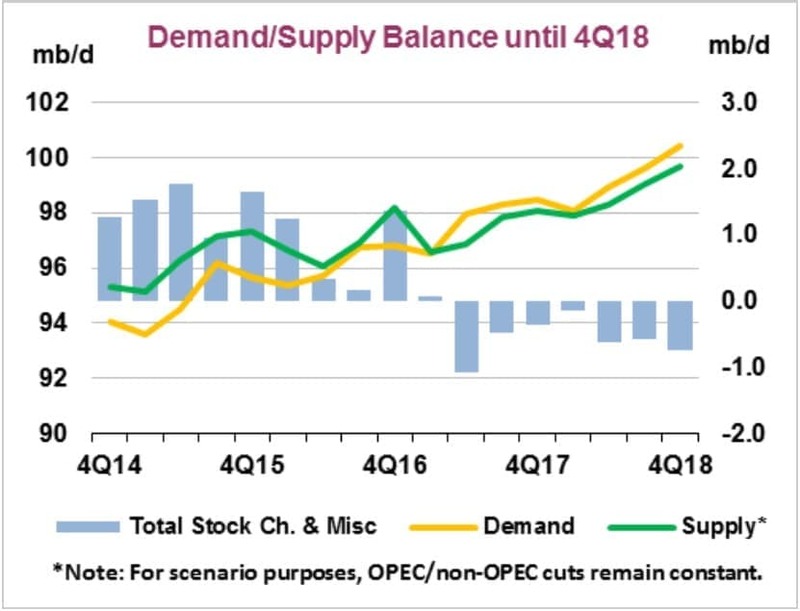 Global crude oil inventories had reached record highs, and the price of oil had crashed following a disastrous decision by the cartel in 2014 to defend market share. In response to declining inventories, global oil prices have steadily increased, breaking through three-year highs last week and again this week. West Texas Intermediate closed last week above $67/bbl, while Brent closed above $72/bbl. These prices are approximately 50% higher than they were last August. The latest bullish news for oil prices was a weekly report from the Energy Information Administration (EIA) showing another 1.1 million barrel drop in U.S. crude oil inventories. This now moves crude oil inventories down into the lower half of the range for this time of year. But in addition to the drop in crude oil inventories, the EIA also reported that gasoline and diesel inventories each dropped by at least 3.0 million barrels last week, bringing the total drop in commercial inventories to 10.6 million barrels for the week. That’s an unusually large (and bullish) draw on inventories. Meanwhile, last week last week Bloomberg reported that Saudi Arabia (OPEC’s leading producer) has its sights set on a target of $80/bbl. This week Reuters reported that the target could be as high as $100/bbl. Given that Saudi Aramco is the single largest producer of oil in the world — with the power to move oil prices — this target should be taken seriously. Despite the disastrous price war on shale producers, Saudi Arabia usually achieves its aims in the oil markets. Related: Can $80 Oil Be Justified? 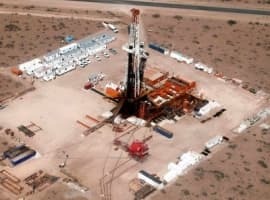 However, $100/bbl would stimulate significant investment in U.S. shale production, which backfired the last time oil prices were at that level. But this is a clear indication that Saudi Arabia isn’t going to abandon the production cuts any time soon. As I have noted in the past, once Saudi Arabia embarks upon a strategy, it usually sticks with that strategy for an extended period of time. Especially when that strategy is having the desired impact. 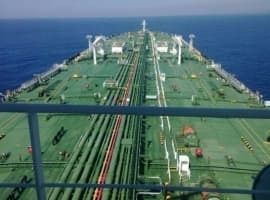 "OPEC Strategy Bears Fruit As Oil Prices Break Out"
More mystery meat bologna from the MSM inspired and underwritten authors at oilprice.com. For having offered their oil below the market price with the expressed intention of expanding market share and bankrupting US SHALE, OPEC now has fewer customers and smaller market share, while the US produces more with less. Can the world economy expand at a healthy rate if oil is priced where OPEC starts to produce fruit? It does not look like it...we will curtail demand for your marginal barrel. Higher oil prices = higher inflation = higher interest rates. Higher interest rates reduce the value of corporate profits and eventually cause for wealth to transfer from the elite class to the saver class. Zero interest rates were far more nefarious than understood. We see you, peekaboo. 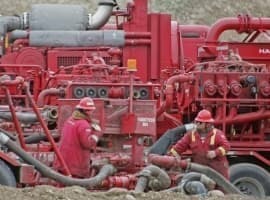 Here in the USA, we got thousands of wells that have been drilled but not completed. These will brought to the surface in the next recession or if prices rise beyond a level that is perceived to be sustainable. Either way, OPEC, NO WAY OUT. "drilled but not completed" is a total fallacy.